Victorita Dutu is a graduate of the Faculty of Mathematics and Philosophy. She has won prizes for poetry and art in her country and inabroad. She realized painting exhibition. She exhibited at Carroussel Louvre Paris, Rome, Florence, Venice, Cannes, Artexpo New York , Oxford , London , Vienna, Chouzy-sur-Cisse, central France, Sanremo, Italy, during the Festival, Poland and Switzerland, Romania. ART UpCLOSE Gallery in New York. ArtExpo Summer Rome It opens on thursday June 2,2016 at 18 the international art exhibition in Rome at the prestigious location of Domus Romana Art Gallery Via Quattro Fontane, 113 00184 Rome situated in one of the most beautiful areas in Rome between Piazza di Spagna and Fontana di Trevi, in Rome’s historic center. Grup Exhibition London at Brick Lane Gallery – London‎ ART IN MIND; LUCID DREAMING, 6th – 17th August 2014. Victoria Dutu Exposed Biennale arts in Cannes during the Film Festival. 18-19 May 2016 Hotel J.W. Mariotte, MAMAG organized by the Modern Art Museum, curator Heinz Playner. She has exhibited at the New York Art Expo Fair, 94 Pier Street, April 23-26, 2015 picture from the series “The blue Sfers” . Exhibition at “Oxford International Art Fair 2015,” 6 – 8 February. 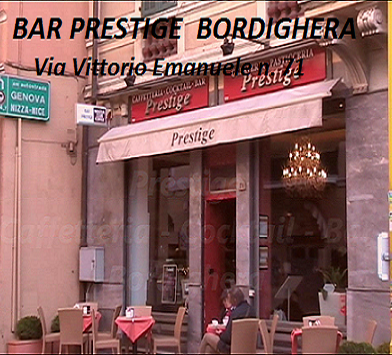 Exhibition at Caffetteria Prestige, in Bordighera, near Sanremo, Italy, in 2013 and 2014. Painting exhibition 12-17 2013 february at Art Gallery “La Bombonniere”, during The Sanremo Festival, Italy. From May until September 2007 – itinerant painting exhibition in ten towns from Poland, exhibition organized by the Honorary Consul of Romania, Mr. Cornel Calomfirescu. anlamasɪ zor, bederler her yerde buhran geçiriyorlar. İsteri, felsefeli sinir ağrısı filozofik. Histeri ümit yine geriledi, nefesi donmuş. Bu zayıflamıs ve sarhoş dünyaya barɪşı getiren, kahraman kim olacak? Cahillik, körlük ve karışıklık yönetiyorlar bizi. the dismay of the past. A hysteria, a philosophical neuralgia. Even the hope recoiled, the breath froze. Who will be the conciliatory hero of this emaciated, drunken world ? Idiocy, blindness and disarray command. This entry was posted in Fără categorie on 20 July 2016 by victoritadutu.